NHL stars to own Stars of NHL? 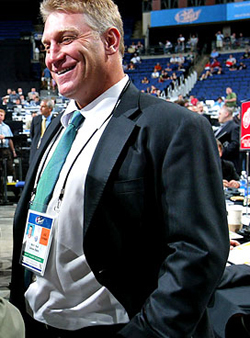 Word is slowly getting around that Hockey Hall of Famer Brett Hull wants to own the Dallas Stars. Not just that, but the former Stars’ general manager is trying to get Wayne Gretzky and Mike Modano on board with his plans. The Dallas Observer has published a report that Dallas owner Tom Hicks is looking to unload the team and the trio are among the potential groups who may find themselves with a new job title. Click to continue reading NHL stars to own Stars of NHL? Gallery: NHL stars to own Stars of NHL? 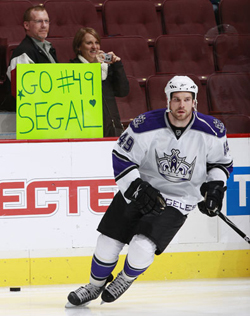 On Tuesday night, Dallas’ Brandon Segal scored his second game-winning goal of the season against the Sharks. He scored the goal at the 4:30 mark of the second period to put the Stars up 3-0. 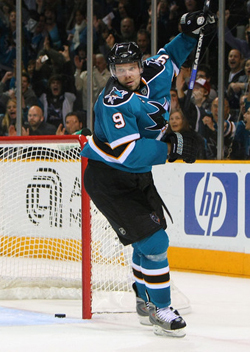 The score would move to 4-2 before Dallas netted four more in the third in an 8-2 rout of San Jose. But full credit goes to Segal for scoring the game-winner, as that was certainly the moment – less than halfway through the game – where San Jose knew they were finished and mailed in the rest of the night. 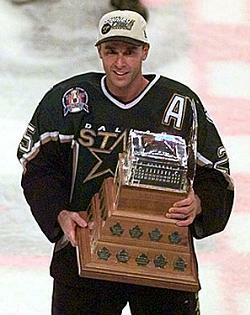 If you were asked to name the greatest players of all-time, would Joe Nieuwendyk make your list? He’s one of those players who played exactly at the right time in his era, and could carry a team if needed, but rarely did he need to. 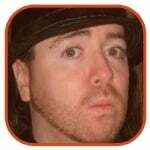 He was born and raised in the Durham Region just east of Toronto. Nieuwendyk was one of the best lacrosse players in his country before he turned his attention to the ice. He has enjoyed success at every level of the game, from NHL to internationally to the front office. 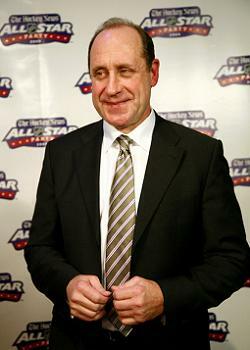 Bob Gainey’s time in Montreal is over. He stepped down as general manager of the Montreal Canadiens on Monday, which is just the latest in a series of blows to the Canadiens organization as they celebrate their centennial year. This was a move that many say was planned well in advance by Gainey, and that if he wanted to, he could have stayed with the club as GM for years to come. But for Gainey, a Canadien for life, that wasn’t in the cards. Going into Saturday’s NHL games, the standings were what they were thanks in large part to the overtime and shootout loss points given to teams, which are basically the equivalent of the “participant” medal you got as a kid to not make you run home crying after getting last place in the school race. These points are ridiculous. A team wins a game and gets two points, but when a team loses after regulation play, they get a pity-point and make it difficult for those actually winning the games to rise in the standings. The Tampa Bay Lightning, with 31 overall points, have nine overtime/shootout points. Almost a third of their points have come in games in which they were the losing team. But what happens if you remove these “thanks for showing up” points from the equation?